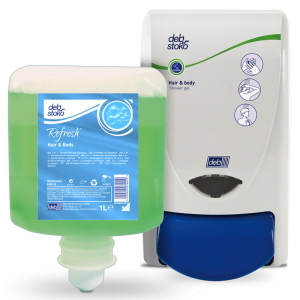 Deb Stoko Cleanse Shower 2L Dispenser is suitable for 2L bath and body wash cartridges. Simple wall mounted dispensing unit with large, 'easy-push' button ensure that virtually no one is prevented from being able to use. Matching Refill Cartridges, see below related products. 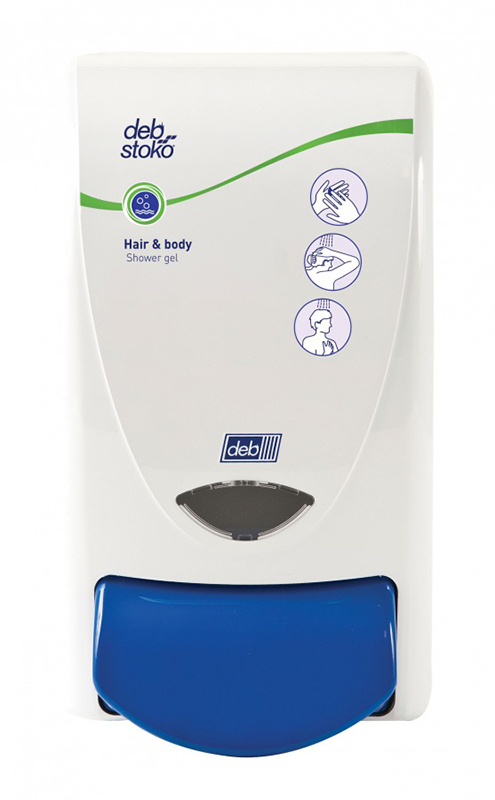 All Deb Stoko dispensers are exclusively protected by BioCote® - a silver-based antimicrobial agent that is incorporated into the plastic components at the time of manufacture and inhibits the growth of a broad spectrum of bacteria and moulds. BioCote® will not wear-out or rub-off and is effective for the lifetime of the dispenser. 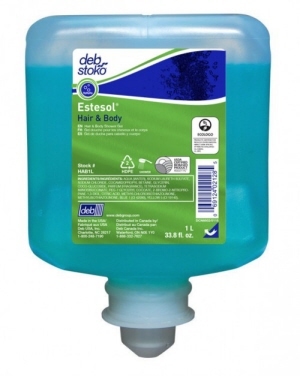 Save money on your hair care with this refreshing unisex high quality Deb Stoko Refresh Hair and Body 2-in-1 Shower Gel and Shampoo. It has a unique combination of moisturising and replenishing ingredients to cleanse skin very gently. 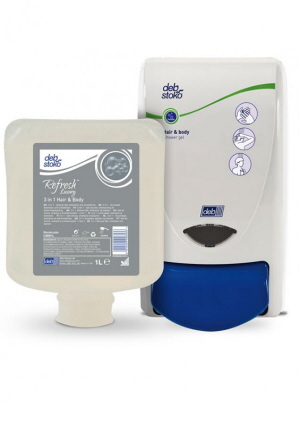 Deb Stoko Refresh Luxury 3-in-1 Hair and Body pleasantly fragranced 3-in-1 body wash, shampoo and conditioner in any workplace, leisure or hospitality shower facility.